GOOD DEAL! Silicone Stretch Lids - 6 Pack - ONLY $8.49! GOOD DEAL! Silicone Stretch Lids – 6 Pack – ONLY $8.49! 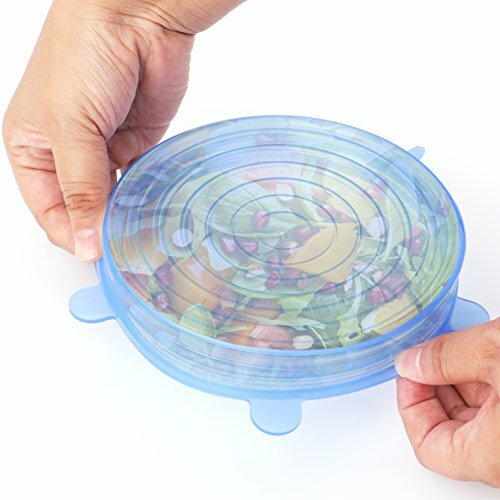 Score a GREAT DEAL on the Silicone Stretch Lids – 6 Pack – Silicone Covers for Fresh Food & Leftovers – Keep Food Fresh – THETIS Homes today for only $8.49 from Amazon! You will get FREE Shipping if you are a Prime member! If you are not an Amazon Prime member you can grab a FREE 30-Day Trial HERE! Get the all the Details of this deal below! 【Versatile】6 packs perfect for 3.5″-11″ containers, such as bowls, plates, containers, mason jars, mugs or cans. 【Safe】Non-toxic, BPA Free, made of Food Grade Silicone, FDA (USA) and SGS(Australian) approved materials. And produce an air-tight seal to keep your food, fruit and vegetable fresh from flies. 【Resistant to high temperature】proved to withstand temperature from -40 ℃ (-105 ℉) to 232 ℃ (450 ℉), so it’s microwave- safe, refrigerator -safe also dishwasher- safe. 【Environmental】You can reuse the lids, saving your money for cling wrap or silver paper. 【Dry】Better for dry container,if you put the lid on wet surface,it maybe can’t not stay. to 450 degrees Fahrenheit. This makes them perfect for fry pans, microwaving and much more. are covering. Another good thing is that silicone lids are good for most surfaces and materials. are more airtight in the long run. They can be reused over and over again without any sign of wear. microwave safe, dishwasher and freezer safe. be a bit easier even if surface is wet however. Like the rim on a jar. 2.These lids can also work to keep any liquid from spilling out. so contact us immediately to solve the problem. 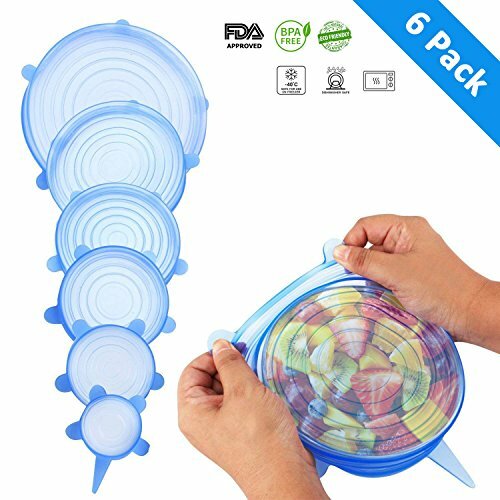 Don’t miss this deal at Amazon Today on the Silicone Stretch Lids – 6 Pack – Silicone Covers for Fresh Food & Leftovers – Keep Food Fresh – THETIS Homes for only $8.49!